Make short work of cleaning and waxing your car, boat, or other vehicle with our line of light oxidation cleaners and our simple liquid cleaner wax. 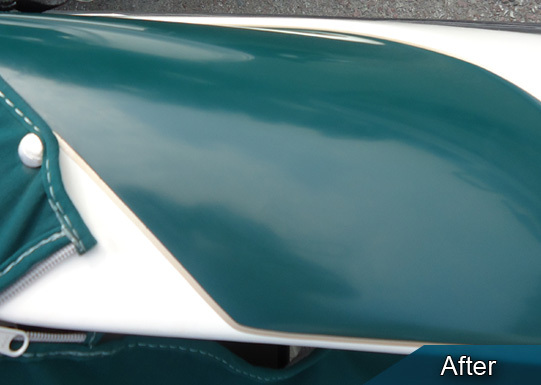 At Garry's ROYAL SATIN, we've worked hard for almost 50 years to simplify the cleaning and waxing process for all vehicle owners, from home enthusiasts to fleet owners. 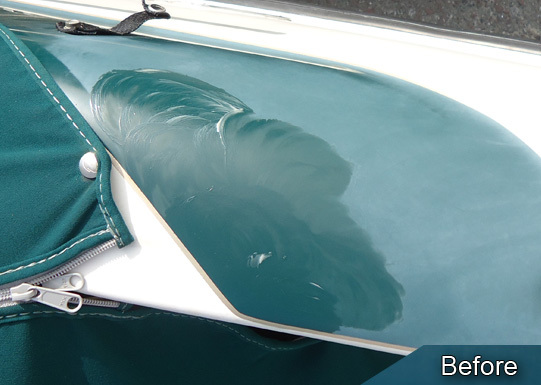 Most people think that using a compound is just part of the standard routine when cleaning and detailing a boat. However, this may not always be the case. 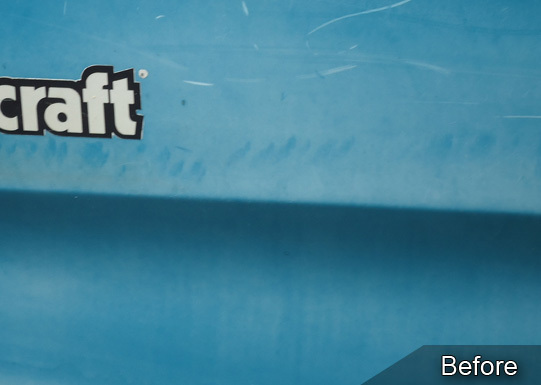 These kinds of products contain various levels of grit and cleaners designed to scrub and scratch away dirt, grime, and any other aesthetic impairment left on the surface of your boat. The level of dirt and damage will determine the amount of oxidation cleaner required. You may even have to apply multiple applications to achieve your desired results. Be careful using compound products because they can leave scratch marks or swirl marks on your finish, which can turn into a real headache when trying to wax and polish. Now, here's where you can save time, effort, and money—by condensing the compounding and waxing steps into one application. 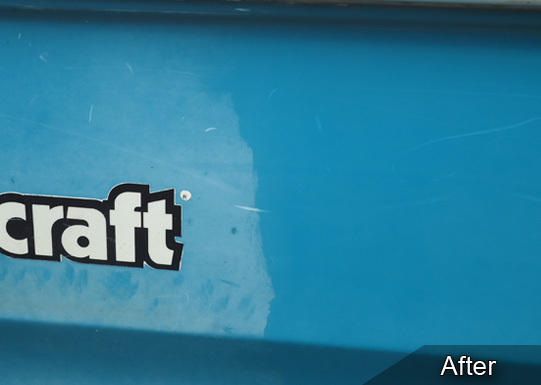 Applying just one coat of rubbing compound along the entire surface of your boat, and then buffing it out can take hours. Now, just imagine having to do this two or three times. Now picture yourself exercising the same effort to apply a protective coating of carnauba wax. Garry's ROYAL SATIN cream paste or liquid cleaner wax is a product that has been specially formulated with a grit scrubbing compound and oxidation cleaner along with a polishing carnauba wax all in one. So, instead of multiple applications of compounding, buffing, and polishing, you can achieve your desired results with just one product. 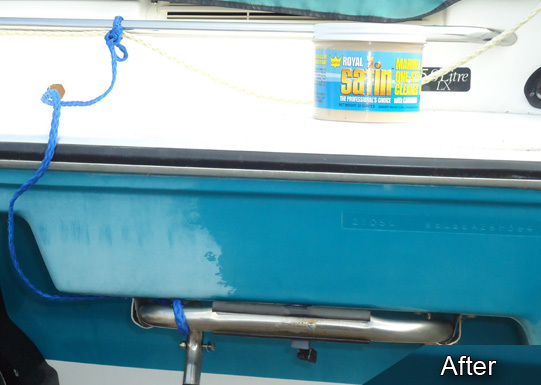 Maximize your boat cleaning and detailing efforts with Garry's ROYAL SATIN. 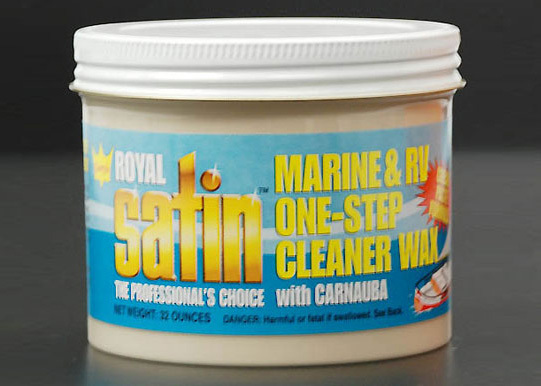 For over 30 years Garry's ROYAL SATIN MARINE WAX has been recognized as a premium wax product for its ease of application and removal. As Royal Satin's flagship product, it is an economical, high-quality alternative to the high-priced wax products currently in the marketplace! The best one-step cleaner and wax since 1968, Royal Satin's Creamy Paste texture with a blend of multi-wax and cleaners is its signature for quality. The product's natural creamy smooth texture or liquid formula allows for easy-on, easy-off application which provides long-lasting protection against fading, chalking, UV exposure, and oxidation. Our synergistic blend of wax includes carnauba, along with cleaners that are specially formulated to remove light oxidation and provide a long-lasting, high-gloss, protective surface coating all in one step. Finally, you can use the wax that professionals choose and the same results that professional detailers achieve for less!